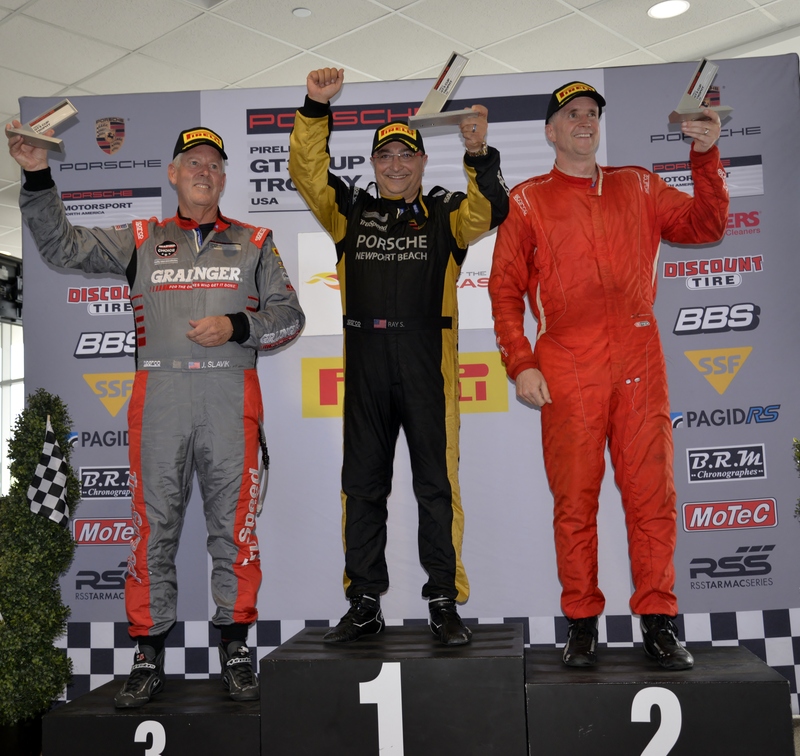 Austin, Texas – BR Racing’s Robert Todd cemented his hold on the Diamond Class championship in a dominant, wire-to-wire victory in today’s Race 15 of the Pirelli GT3 Cup Trophy USA at Circuit of the Americas, in a race that saw a 69-minute start delay due to area thunderstorms. 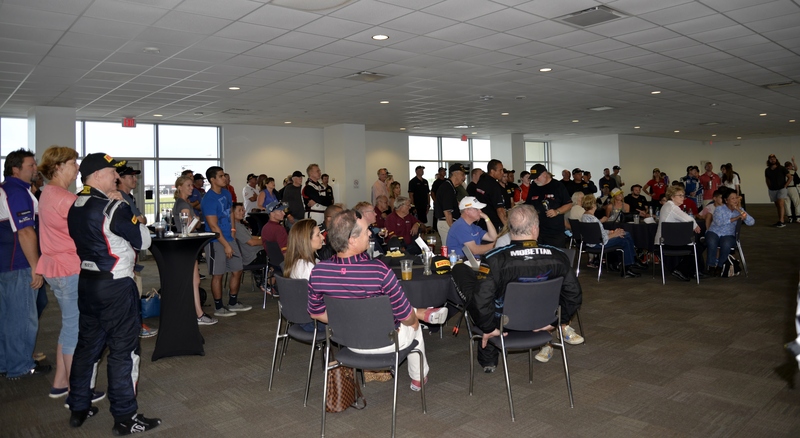 Behind Todd, numerous on-track battles made the 14-lap event an exciting one, with close competition throughout the field up until a Lap 12 incident caused the race to end under a full course caution. With thunderstorms – and the accompanying lightning – hitting the Austin, Texas area, track officials delayed on-track action until the weather system passed. The field took the green flag on a slightly damp and cold track, with Todd keeping his No. 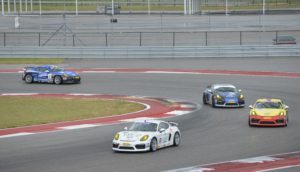 52 Porsche 911 GT3 Cup car in the lead as the field bunched behind him. Holding a steady pace and managing traffic, Todd built a 21-second margin. But as the GT3 leaders began to lap the GT4 cars, positions began to shuffle behind him. Mark Nelson, Russell Ward and Alessandro Chiocchetti, who started second, third and fourth, respectively, traded positions throughout the race until Chiocchetti tangled with a backmarker. His day ended in the Turn 11 runoff, with the yellow and checkered flags flying. 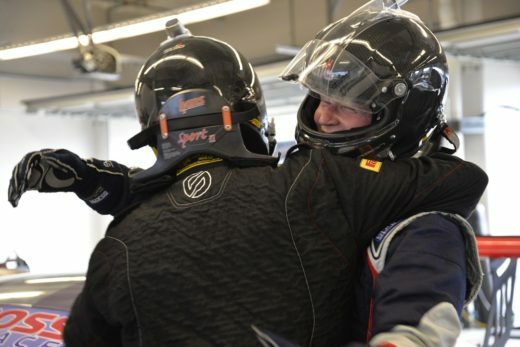 Russell Ward and his father Bryce, driving for Kelly-Moss Road and Race, finished second and third – the first shared podium for the father-son duo. In the Platinum class, Tom Haacker once again kept his No. 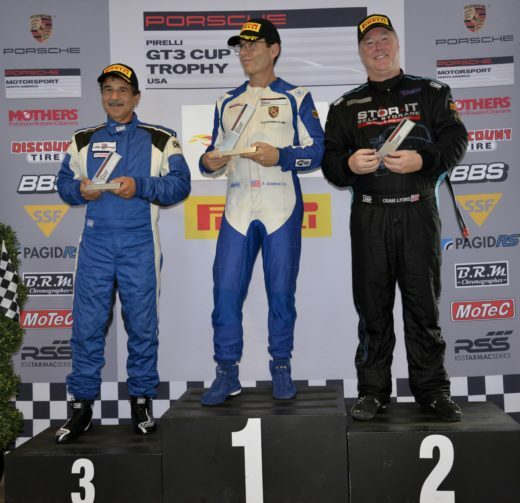 45 Mother’s/TruSpeed Porsche in the lead, taking his 10th win of the season and finishing fourth overall, ahead of Aasco Motorsports teammates John Krieg and Alex Kirby. 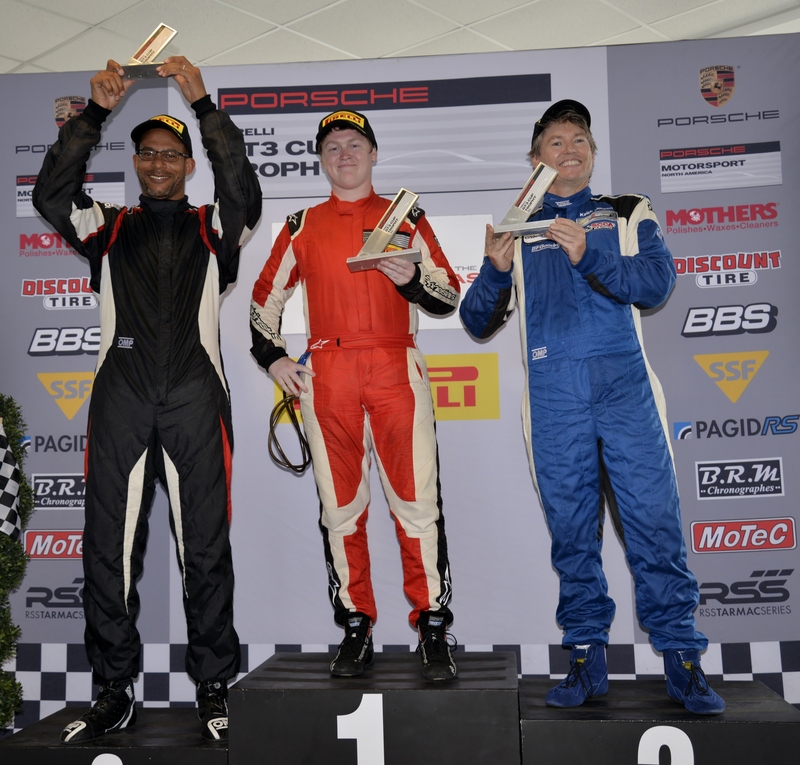 Ray Shahi of TruSpeed Autosport made a daring move at the green flag in the Platinum Masters Class, taking his No. 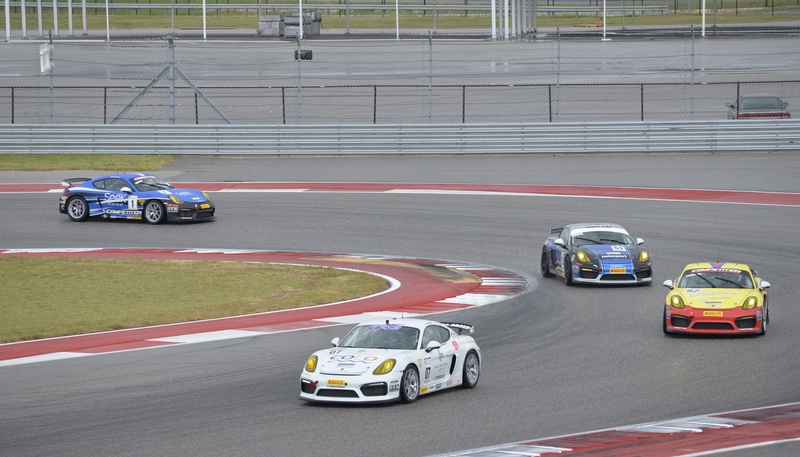 65 Sterling Collision/Newport Porsche entry from fourth to first up the hill to the storied Turn 1 at COTA. 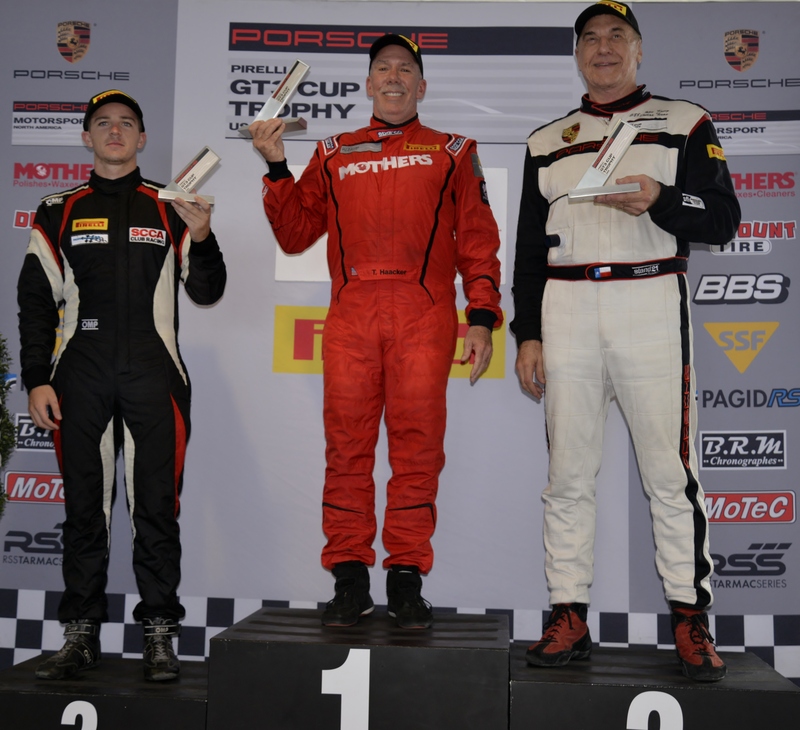 The Silver Class of the Porsche Cayman Clubsport GT4 machines saw the fight of the day, as NOLA Motorsports Keith Jensen and Competition Motorsports’ Sean McAlister battled side-by-side through much of the race. The 19-year-old McAlister drew alongside the veteran Jensen on the back straight and got a run out of the hairpin, only to find himself tucked back behind going into Turn 13. With 12 minutes remaining, McAlister got a nose inside Jensen at the apex of Turn 20 and made the pass stick, for his fourth victory in his rookie season. In Silver Masters, Competition Motorsports’ Steve Goldman once again made it look easy, keeping his No. 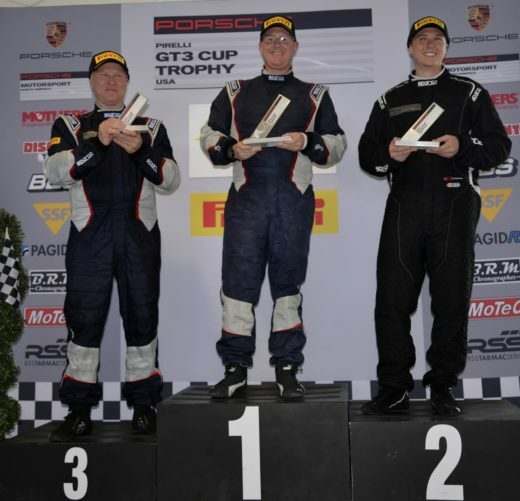 1 Porsche Cayman GT4 Cup Car in the lead and taking the fight to his (younger) Silver Class competitors, on his way to his 13th race victory this season. 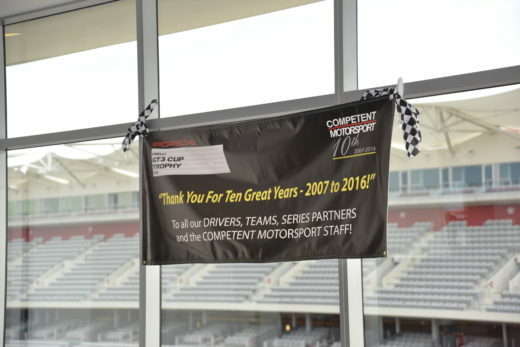 Competent Motorsport held a special 10th anniversary championship celebration of the Pirelli GT3 Cup Trophy USA Series at Circuit of the Americas Saturday night in which teams and drivers as well as series officials were recognized for their support of the organization. 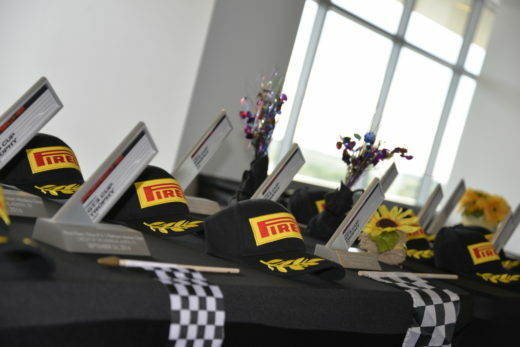 The Pirelli GT3 Cup Trophy USA will return to Circuit of Americas for the final race of the season on Sunday with the green flag set to fly at 1:55 PM CDT. This entry was posted in News on September 24, 2016 by admin.